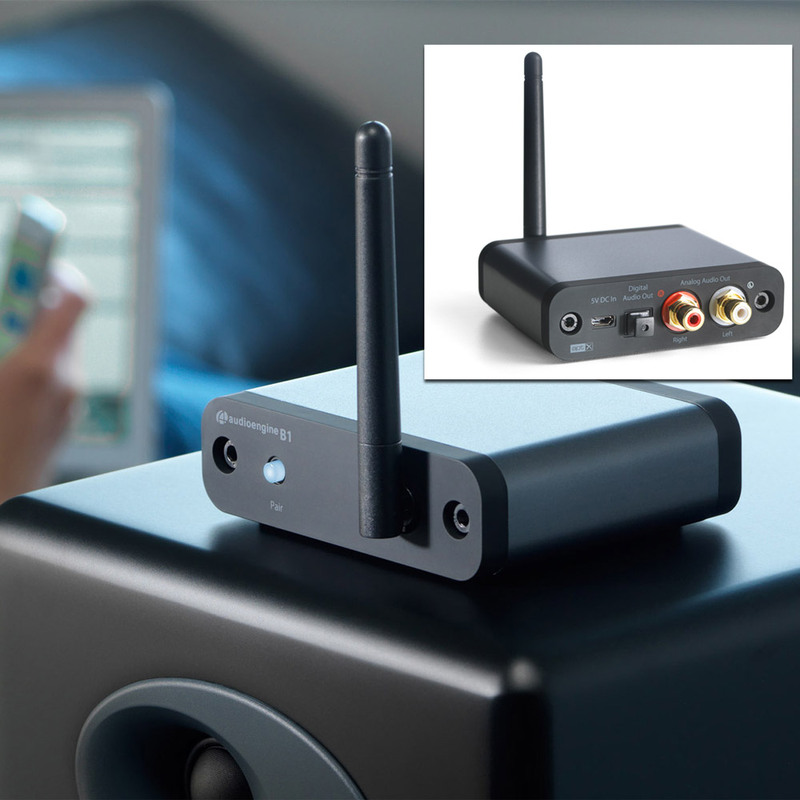 Audioengine announced the B1 Premium Bluetooth Music Receiver on Tuesday. This device acts as a Bluetooth receiver for any audio system or powered speakers, allowing you to stream music from your iPhone, iPad, Mac or other Bluetooth device. The B1 receives your Bluetooth signal and has a stereo analog RCA outputs and a digital optical (SPDIF) output for connecting to your stereo, receiver, or powered speakers. This is an easy way to stream music to any setup that doesn't support Apple's AirPlay technology. We haven't tested this device yet, but we're big fans of Audioengine at TMO. We look forward to putting it through its paces. The B1 is priced at US$189, and it's eligible for Audioengine's 30-Day Audition.